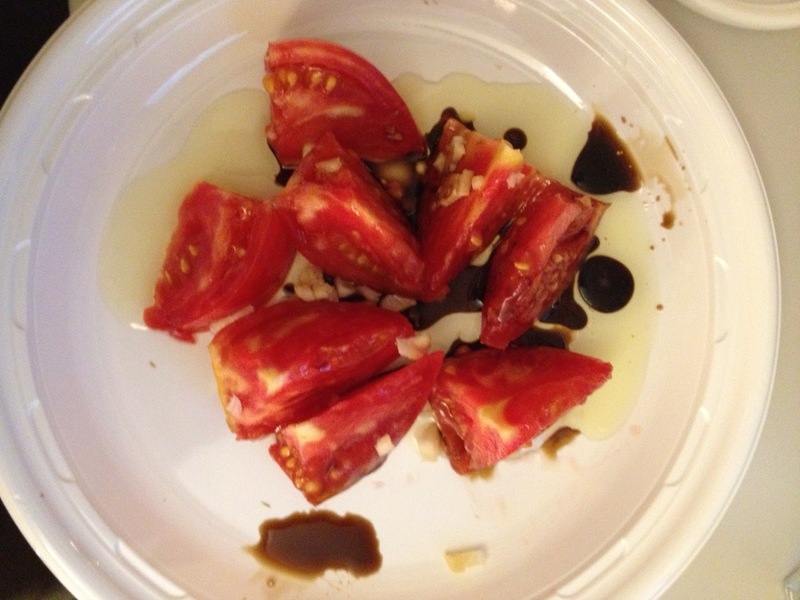 Skinny Gourmet Guy: Summer Heirloom Tomato Salad! As we approach the one month mark with no gas in my building I've been branching out on recipes that don't require a stovetop or oven. 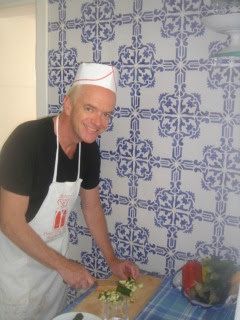 I'm lucky that this happened in the summer because there delicious alternatives that require no cooking at all. 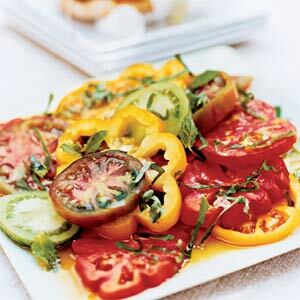 Topping the list is heirloom tomatoes. My friends Bobby and Holly have a house in upstate NY. They have a few acres of property - more than enough to have a garden. This year they had a bumper crop of heirloom tomatoes and they were nice enough to give me a bagful of heirloom tomatoes, but Japanese eggplant and zucchini as well. 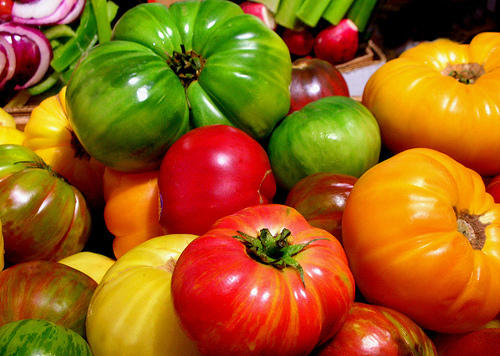 The New York Times published an article today about the crop of heirloom tomatoes this season. The oppressive heat we've suffered through this summer and the relatively small amount of rain are the perfect conditions for growing tomatoes. 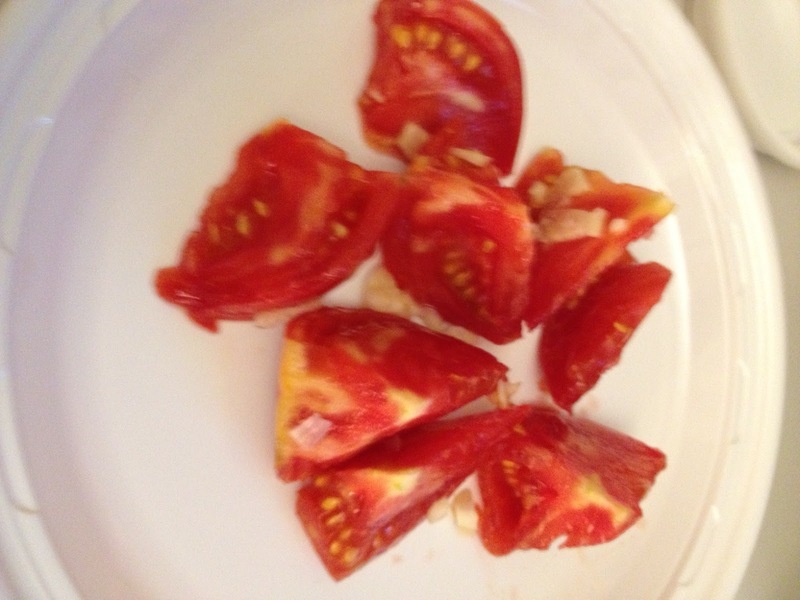 Today for lunch I chopped one of the tomatoes into eights. I diced a fresh bulb of garlic from the Farmer's Market. I drizzled extra virgin olive oil and balsamic vinegar on top and I was good to go! Even if the gas were working I'd still opt for a delicious tomato salad served at room temperature. Though there should be an abundant supply, it's still a short season. Head to your Farmer's Market and take advantage while you can!